A restored savanna generally has an extensive groundlayer of grasses. 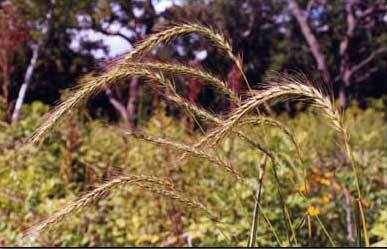 In fact, some older definitions of savanna required prairie grasses as a major part of the groundlayer. However, because of the high heterogeneity of the savanna environment, presence of prairie grasses will depend considerably on available light, which will be influenced by how open the forest canopy is. A savanna with widely spaced open-grown oaks (perhaps 10% cover) can be considered a prairie with occasional scattered trees. More closed canopies, even those with large open-grown oaks, may have prairie grasses only on the edges. Grasses can be divided into two classes depending on whether they grow best in the cooler or warmer part of the growing season. These are called "cool season" and "warm season" grasses. They differ in how they handle the photosynthesis process during hot periods. The cool season grasses essentially "shut down" during the summer heat, whereas the warm season grasses are able to store carbon dioxide during hot days and then utilize it for photosynthesis during the cooler night periods. In the Midwest the principal prairie grasses are the warm season grasses listed in the table below. On the other hand, the cool season grasses shown in the table begin growth early and are often finished flowering and beginning to set seed just when the warm season grasses are beginning to thrive. 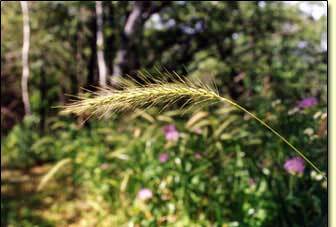 Most of the cool season grasses can best be called "savanna" grasses. 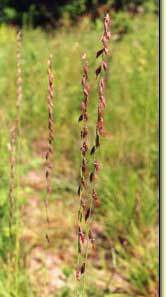 In "open" savannas, those that are more prairie in character, the warm season grasses may predominate. In more closed savannas, the cool season (savanna) grasses thrive. These cool season grasses begin growing early in the season. In addition to growing in savannas, they are often also present in more mesic habitats, sometimes even wet mesic, and may even be found in nonsavanna habitats such as lowland (riparian) forests. 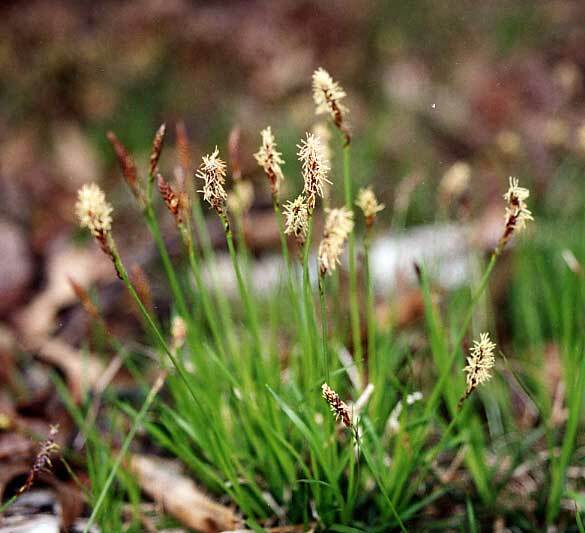 Several species of sedges (genus Carex) are usually present in savannas. 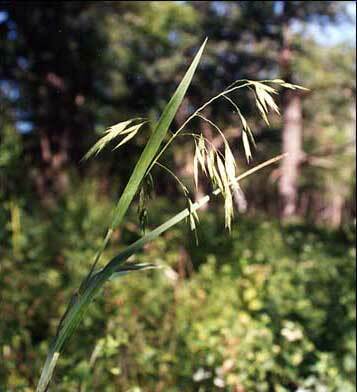 Most sedges have been less well studied, but one sedge, Pennsylvania sedge (Carex pensylvanica) is often the single most important herbaceous plant in an oak savanna. 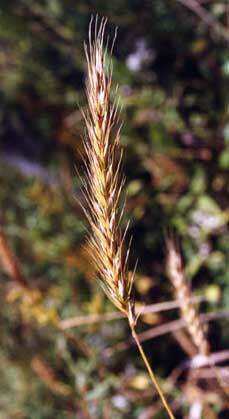 This sedge is clonal and forms large patches which prevent other herbaceous species from getting established.